The wait for Dark Souls 3 is almost over and you can just about taste the ashen feeling of failure and dejection. Mmm-mmm, can’t wait for that hot gulp of death. 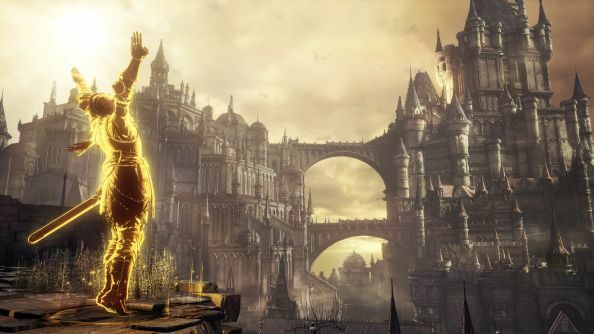 While far too many have already had their shot at it, for us mere mortals – not counting Fraser, who thinks it’s ace and says as much in our Dark Souls 3 PC review – just over an hour remains. Here’s when you’ll be able to play and some other last minute pre-release facts. Worried about performance? Here’s our Dark Souls 3 PC port review – it passes, and there’s been patches to the build since. Japan: three weeks ago, you absolute sods. At least, that’s the plan. Steam’s promised release and actual go-time don’t always match up, so don’t panic if you’re not playing by 15:01. If you’ve already pre-ordered, you can begin pre-loading now.It’s a 25 gigabyte game, so expect the pre-load to be roughly that large and plan accordingly – at a meg a second that will take around seven hours. Remember that once it’s unlocked your computer will need a little downtime to decrypt everything, and that it can take a while on slower CPUs. You might be better off starting tomorrow if you’re over here in Europe, rather than attempting to push through those first bosses at 1am. That was sent early this morning, so if you still don’t have a key you’re owed from them, check your account page and maybe give them a nudge. If you’ve ordered from another retailer, they should have the key with you by now, so worth popping them an e-mail and asking for an ETA if not. Meanwhile, anyone worried about reported performance issues will probably be interested in this thread on Reddit detailing a patch that went live to pre-release builds and dramatically helped with issues in certain areas. Apparently, much like with the original game, the special effects used and sheer size of some zones were causing massive slowdown that has now been fixed on a variety of setups. You remembered to take a week off work like our Editor Joel, right? He says it’s for a holiday but we know the truth.